To use the imperative for Ud, add an a to the stem of verbs ending with (-er, and -ir), and an e to the stem of verbs ending with (-ar). Examples: ¡hable usted! (talk! ), ¡viva usted! (live!) ¡coma usted¡ (eat! ), but remember there are some irregularities, you will see them in the table below. The second person singular (tú) forms are identical to the third person singular of the present tense. 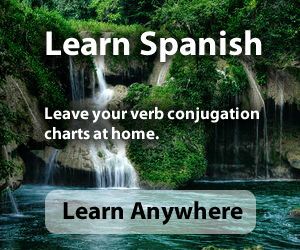 The first person plural (nosotros) is formed -in regular verbs- by changing the letter before -mos to either e or a depending on if the original verb is ending with (-ar, -er, or -ir). On irregular verbs different rules apply. The second person plural (vosotros) forms are based on the infinitive, with a -d substituted for the final -r.
The third person plural (ustedes) for -ar: e ¡hablen ustedes! For –er, -ir: a ¡vivan ustedes! ¡coman ustedes! Regular -ir ending verbs: For tú, Ud., and Uds., change the (e) at the beginning of the suffix after the stem to (a). Nosotros: Change the (i) at the beginning of the suffix to (a). Vosotros: Change (í) to (ái). No me lo traiga Ud.